It wouldn't be summer without corn on the cob. It is nutrient packed with fiber and vitamins A, B, and E. They promote eye, gastrointestinal and heart health. This makes corn a nutritiously satisfying side to any meal. We've created an easy crowd-pleasing recipe for your next barbeque. 1. Fill a large pot with cold water and season with 1-teaspoon sea salt. Bring water to a boil. Allow corn to cook for 6-7 minutes or until corn is bright yellow and tender. 2. Remove corn from water, allow to cool, and pat dry. 3. Place corn on a baking sheet. Drizzle corn with lime juice, olive oil, remaining sea salt, dark brown sugar and cumin. Roll the cobs back and forth on cooking sheet to coat evenly. 4. Set grill on medium heat and coat generously with no-stick cooking spray. 5. 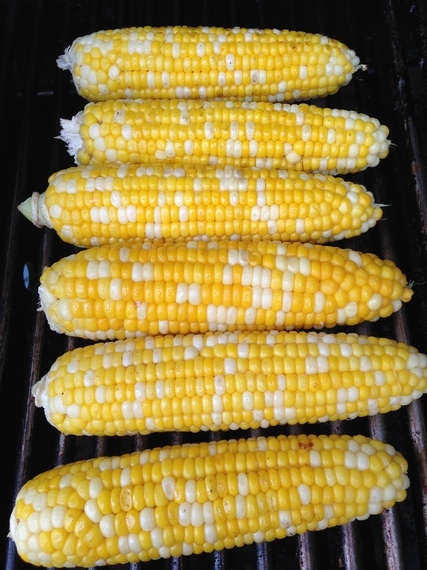 Grill corn for approximately 3-5 minutes or until corn is grilled evenly on all sides.